Another Vintage Panerai is being offered on ebay from the same seller like this 6152/1. This time an early Ref. 3646 Type A with “California” dial. “This is the first Panerai!!! It was made in 1938 and is 77 years old, worn by Italian Navy. It is in Amazing condition and of course extremely, extremely rare!!! It doesn’t get better than this! A true collectors investment piece! This watch was sold on Antiquorum in 2005 for US $ 59,800.00. The minute hand has obviously been repaired since then. Overall a nice looking watch. The case number of this watch is 1009551. 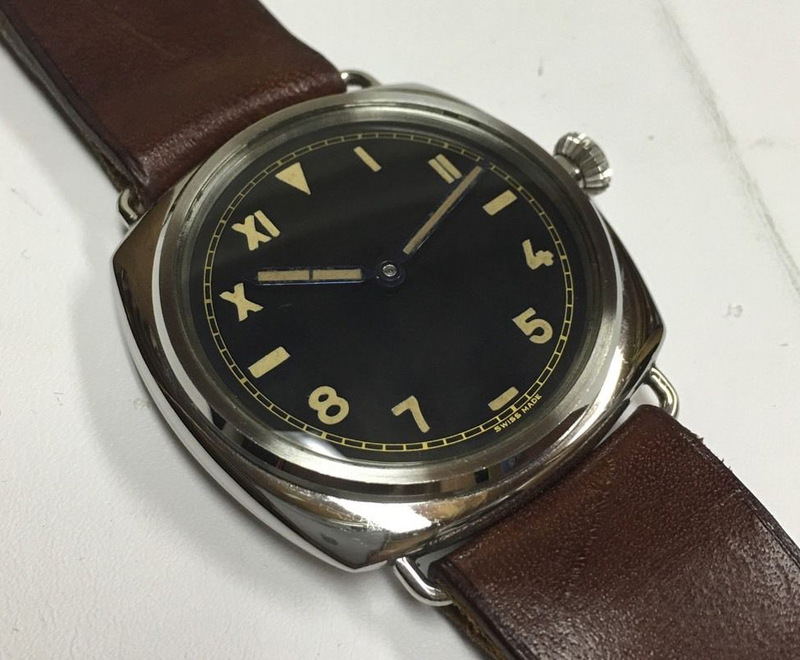 Early 3646’s (Type A, B and C) have case number which were within the pocket watch production of Rolex. Later Ref. 3646, 6152, 6154 and 6152/1 had Oyster case numbers. The movement is again being advertised as “original”. 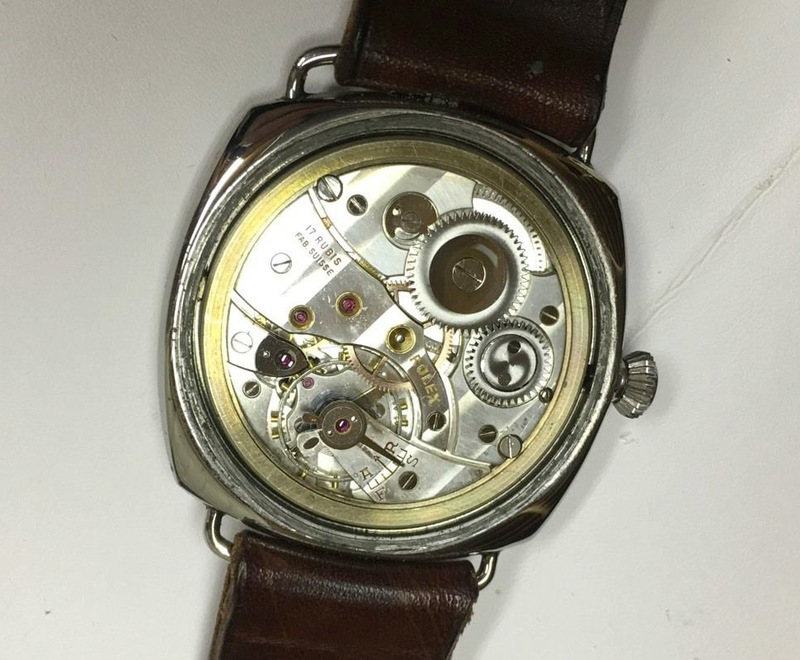 This watch should have a Rolex 618 Type 1a, the earliest version of the Cal. 618 with curved Rolex engravings. Instead it has a late Rolex 618 Type 1 mod. from a Ref. 3646 Type E, F or G. This kind of movements are supposed to be completely anonymous without any Rolex markings. Only 17 Rubis and Fab. Suisse were engraved on the train bridge. The Rolex engravings are not original and were possibly applied in the 1980’s or 1990’s in order to command a higher price. I would have loved to see an early Rolex 618 in this watch. Unfortunately it was replaced at some point. The later applied “Rolex” engravings are badly executed, what a pitty.